Bayside Log Homes, LLC is your authorized sales representatives for TimberHaven Log & Timber Homes LLC — a leader in the log home industry with over 20 years of experience. We serve log home enthusiasts in central Maryland; Southern Maryland; Maryland’s Eastern Shore; Delaware; and, Washington, DC. Whether your dream is for a sportsman’s get-away cabin, a warm and cozy weekend retreat, or your primary log home residence, we help make your dreams into reality. We offer Eastern White pine logs grown in Pennsylvania’s forests, plus other log and timber varieties. Each home is carefully designed and individually crafted. No matter what your life-style — we have your dream log home or cabin just waiting to be built for you. It’s Time . . . Come share the dream, come see the vision . . .
Bayside Log Homes is a full-service company, specializing in providing our personal assistance in the planning, design, purchase, delivery, building, and maintenance of your project. If you need a custom design, financing, construction assistance, or more — we can help. We are stewards of our natural resources and eco-friendly — offering you the most affordable “green”, sustainable log home products available. We will work with you to incorporate your desires for an environmentally-friendly log home, one that demonstrates your dedication to conserve our Nation’s precious natural resources, reduce global warming, and limit energy consumption. 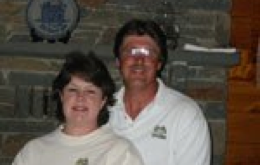 The design staff at Timberhaven Log & Country Homes has decades of experience designing log homes. We work with you to modify one of our existing plans or we can create a custom design to fit your needs. Need some help or more info? Give us a call today 410-557-9220 or drop us a line via email!